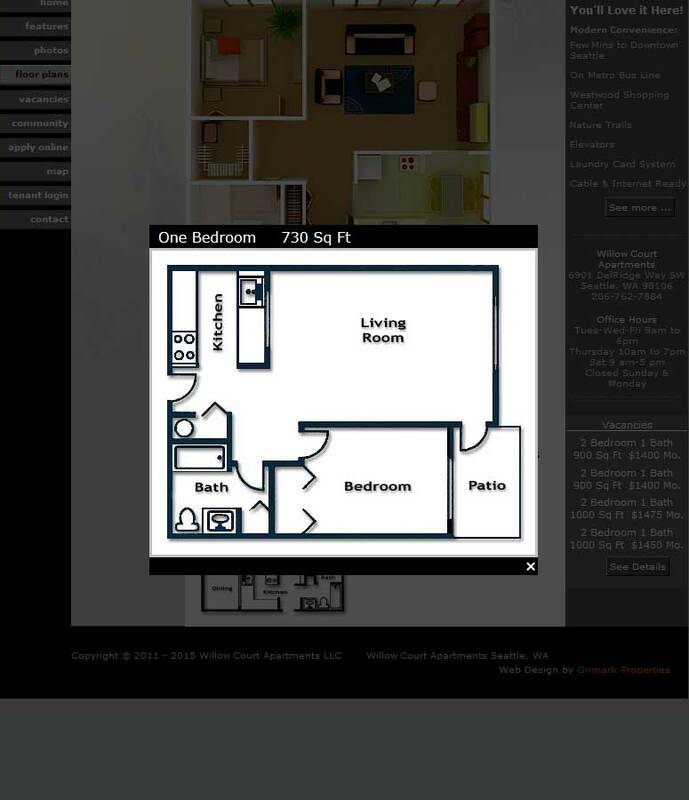 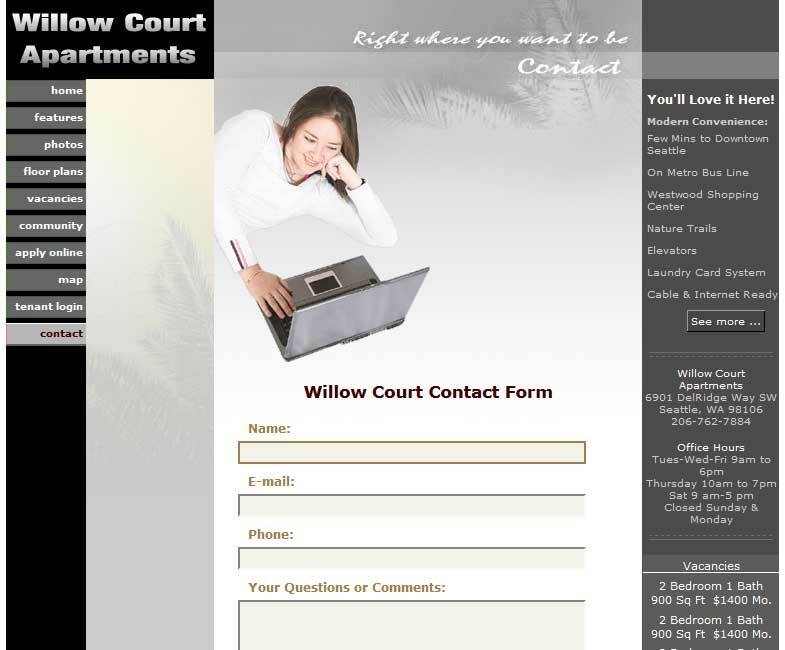 As with our other apartment sites, the Willow Court site includes a photo gallery, attractive floor plans, links to community attractions, facilities and shopping, an editable vacancy list that turns into a waiting list request when there are no vacancies, and a contact form. 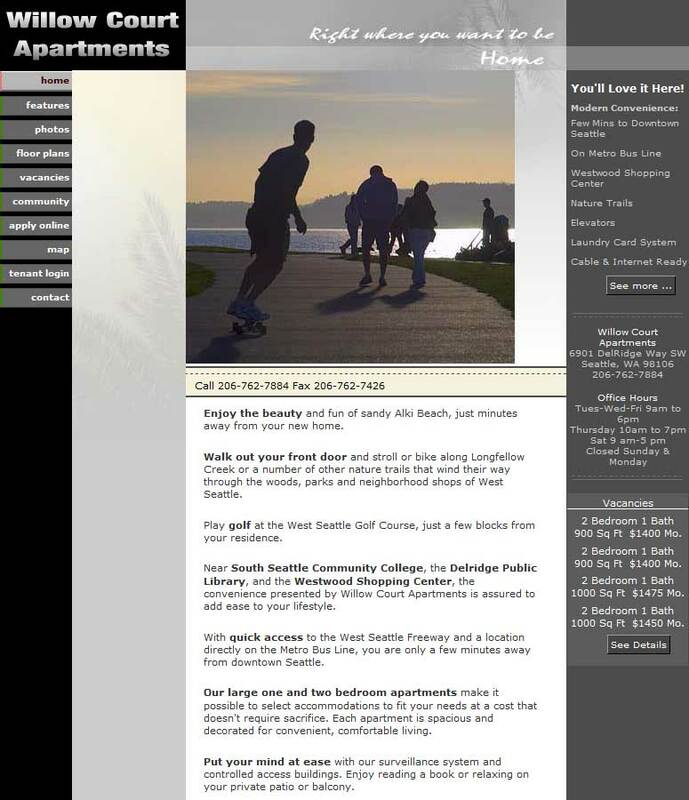 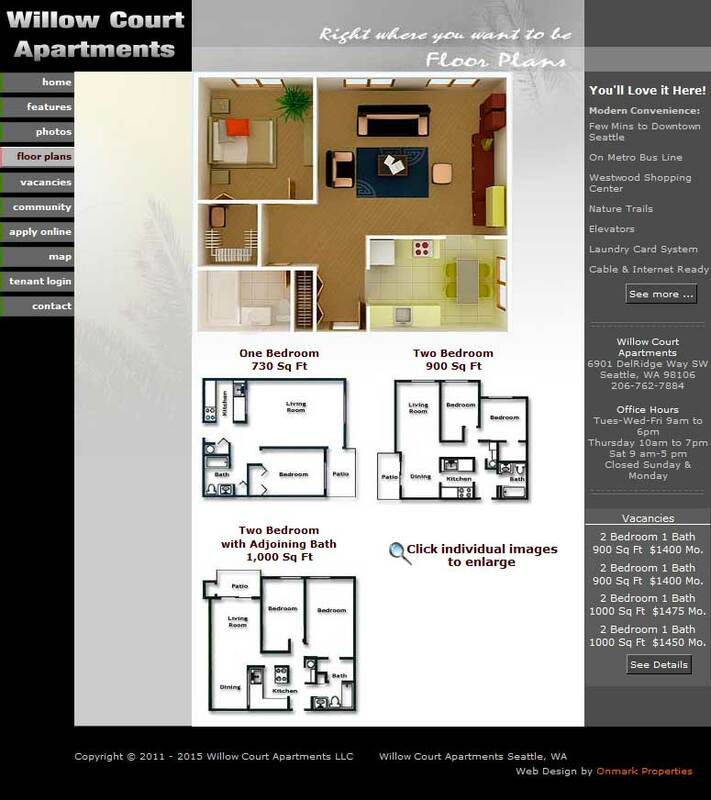 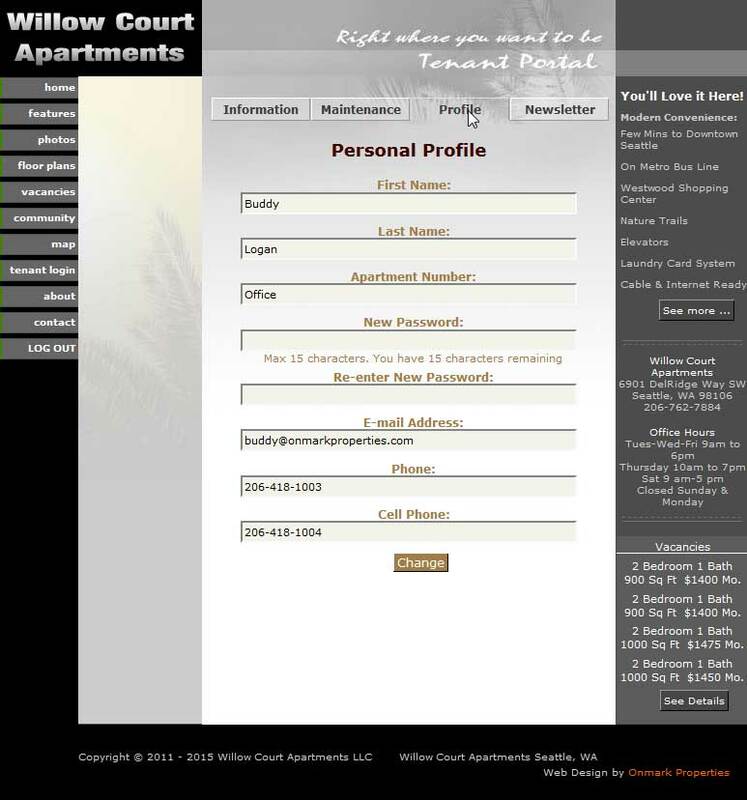 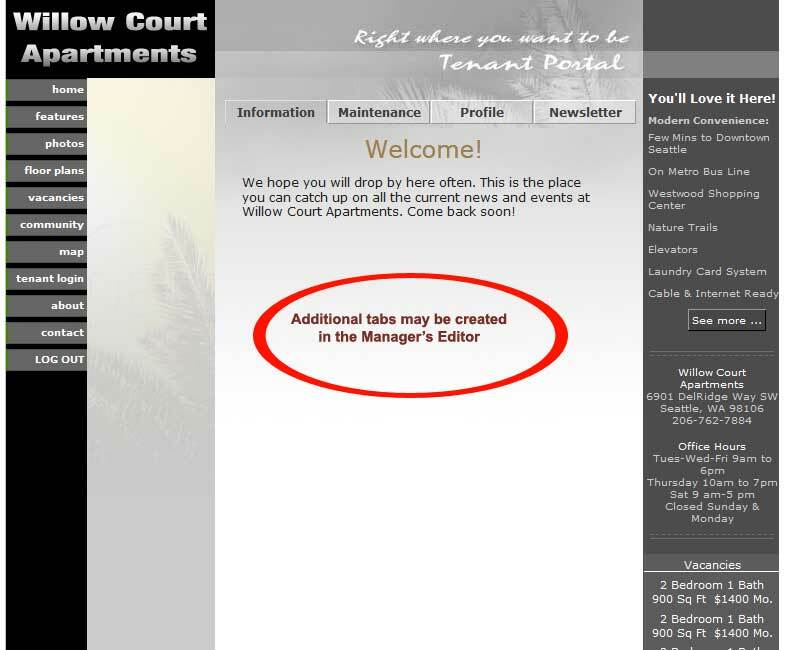 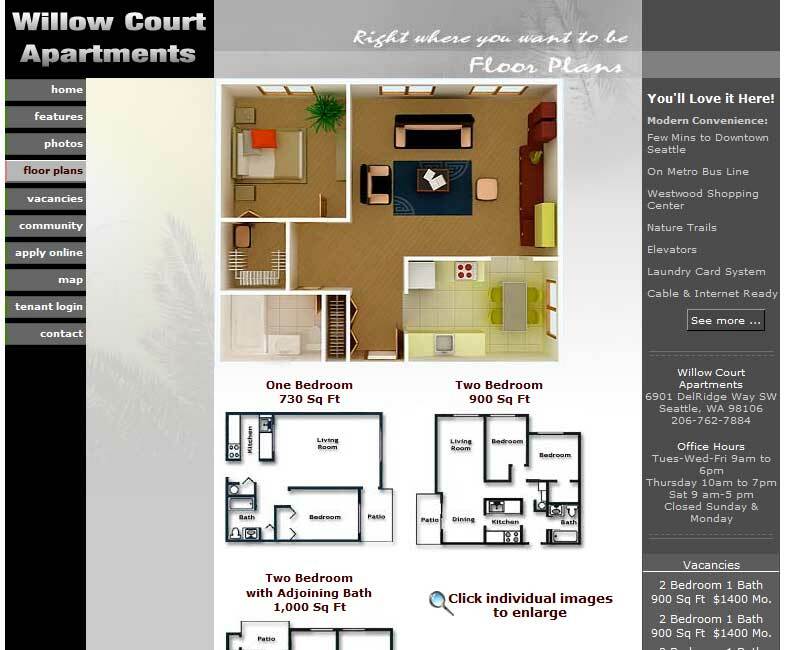 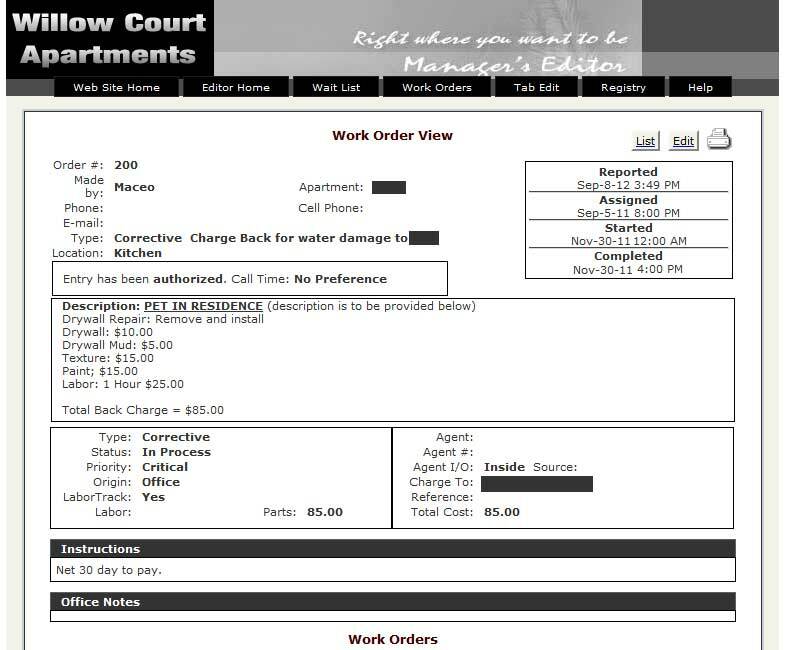 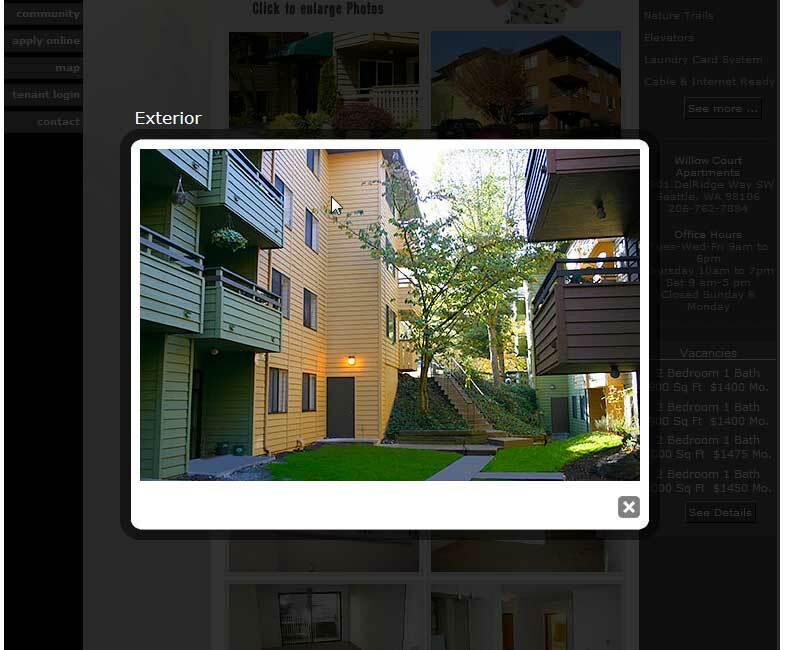 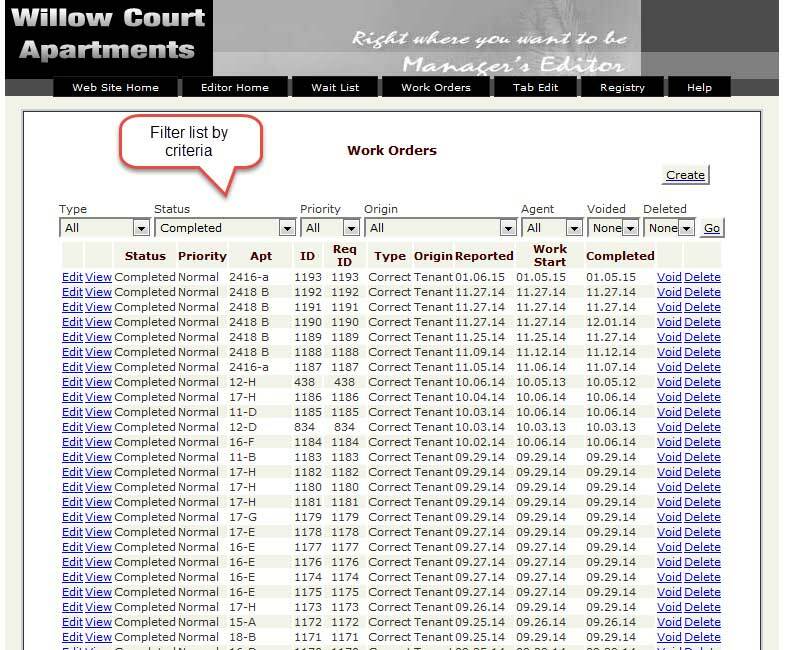 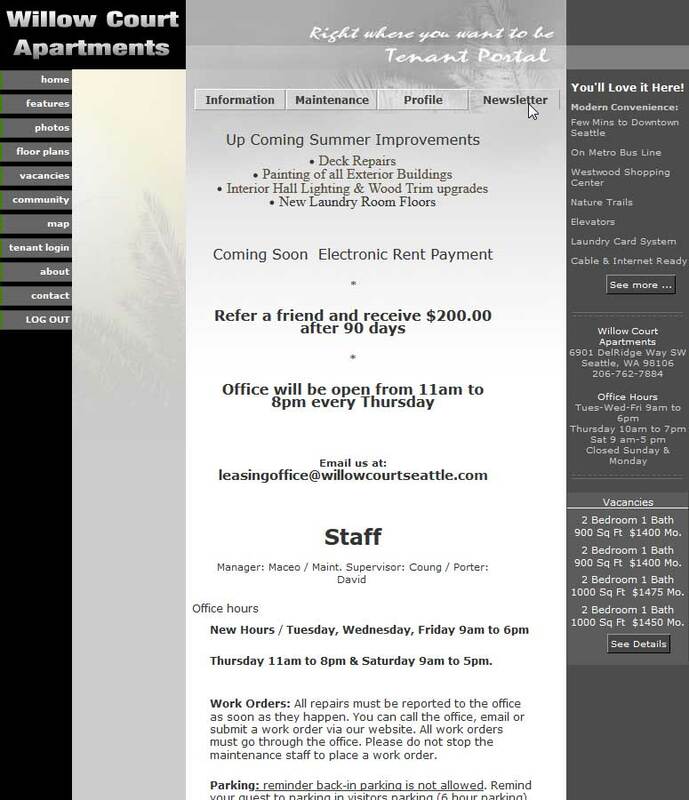 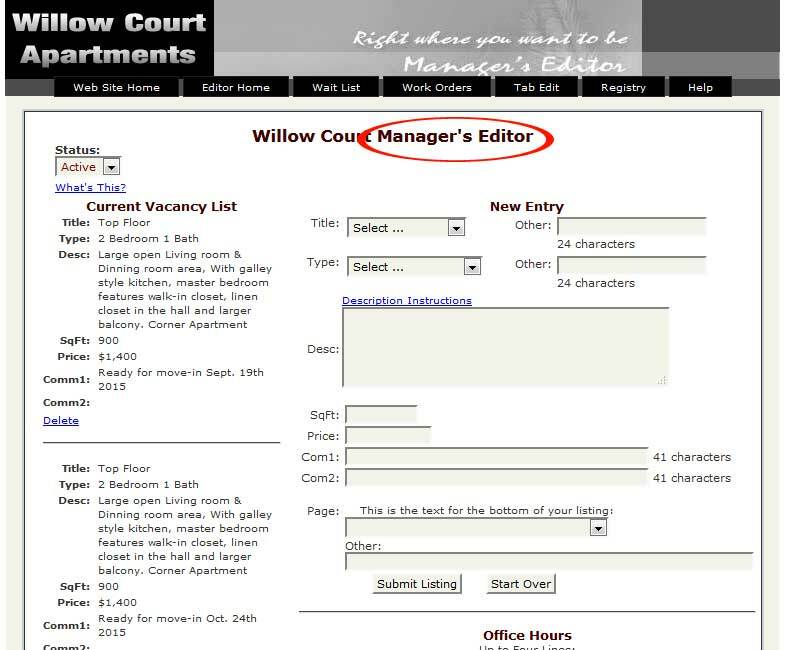 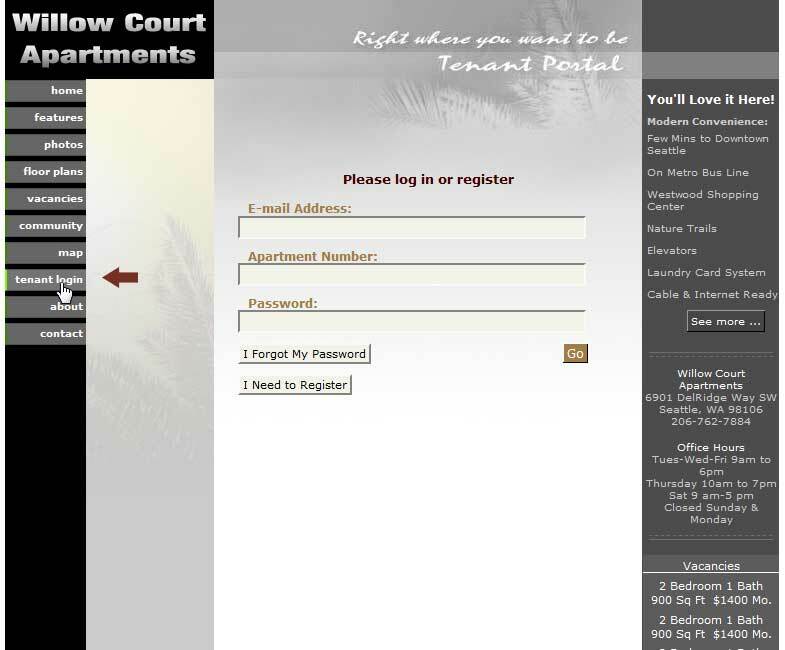 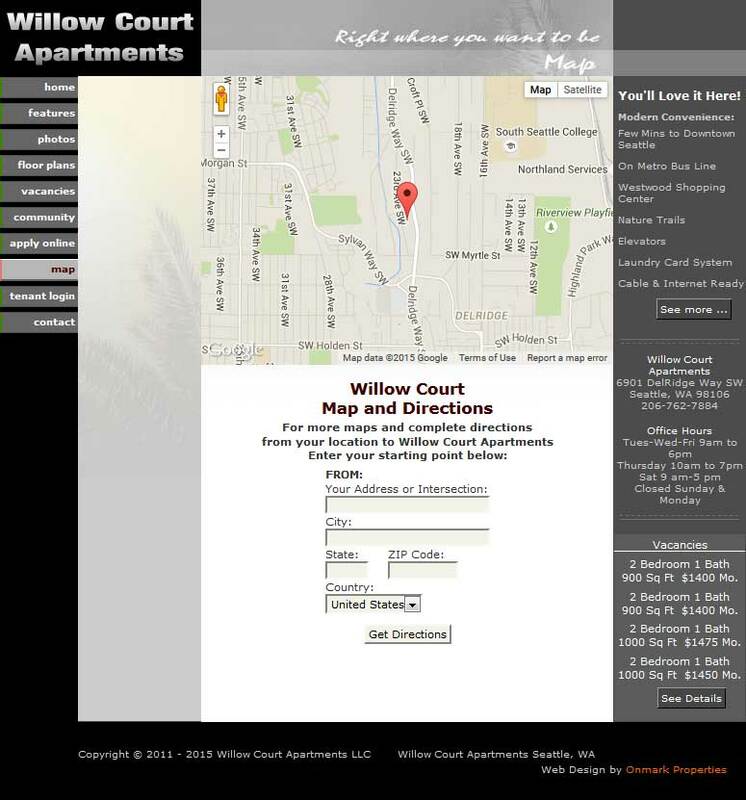 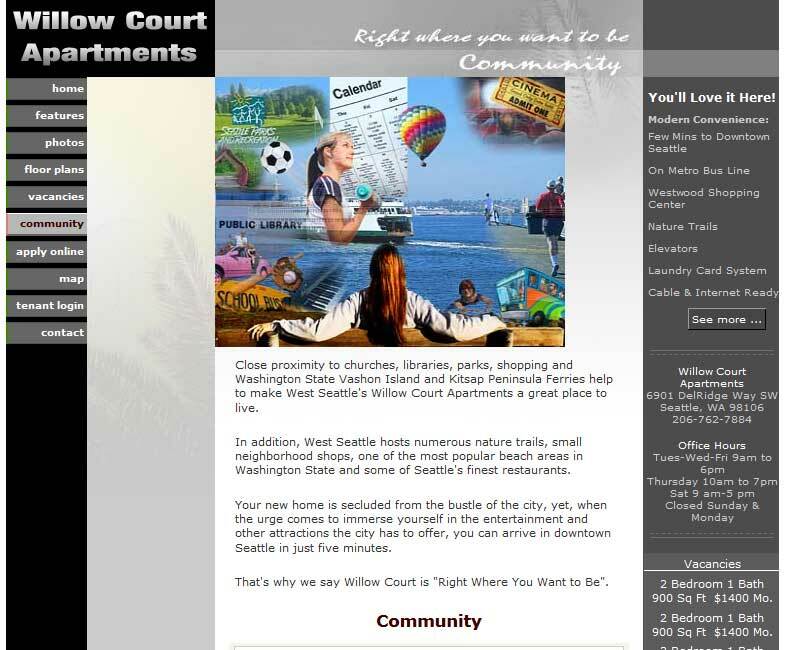 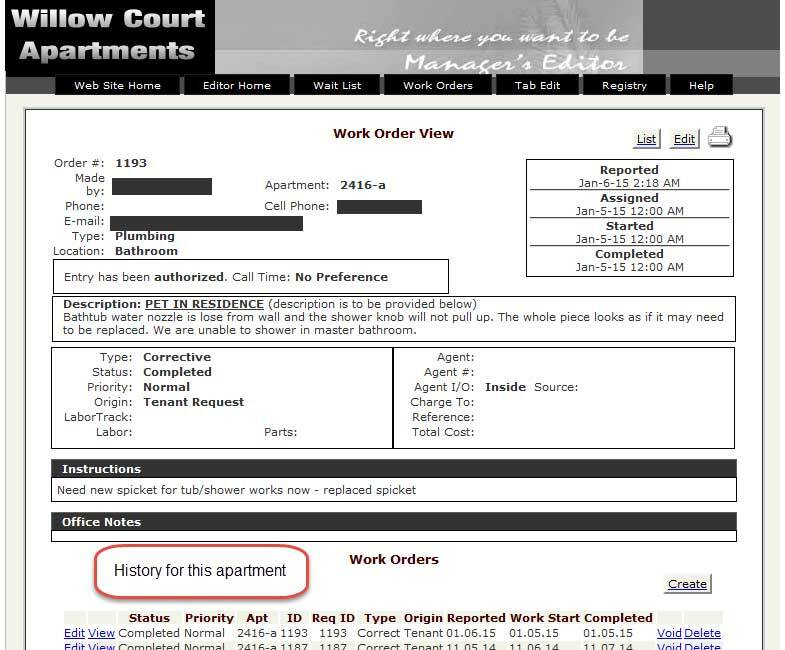 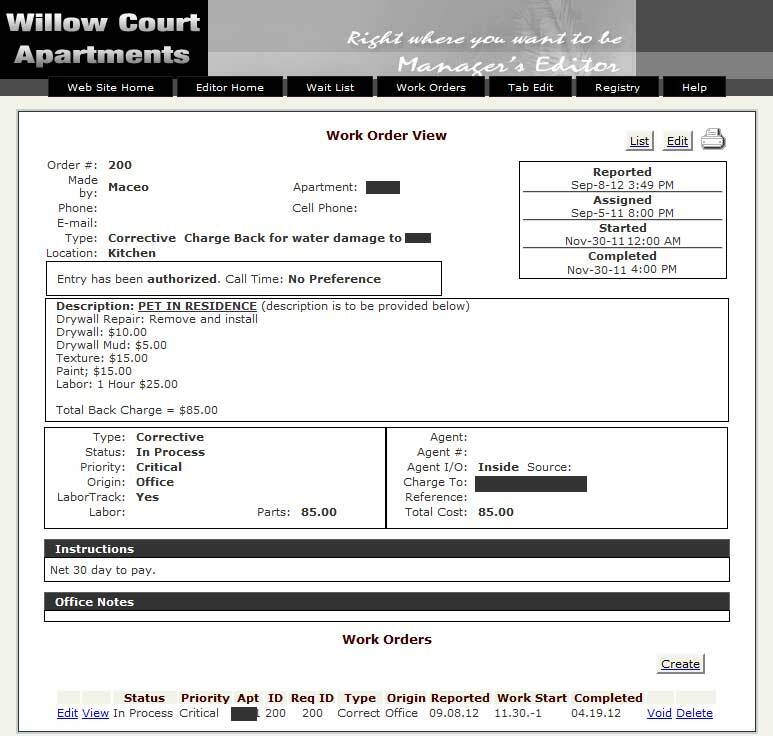 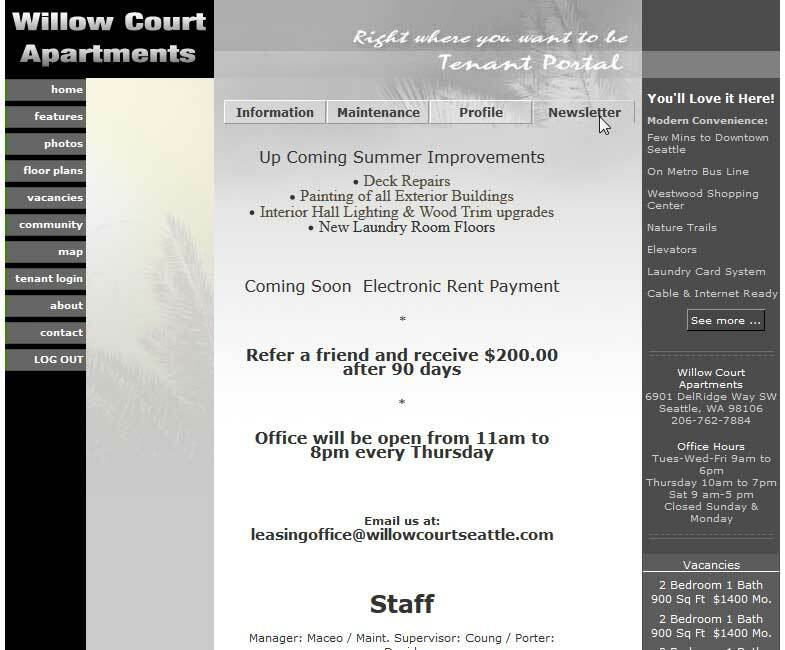 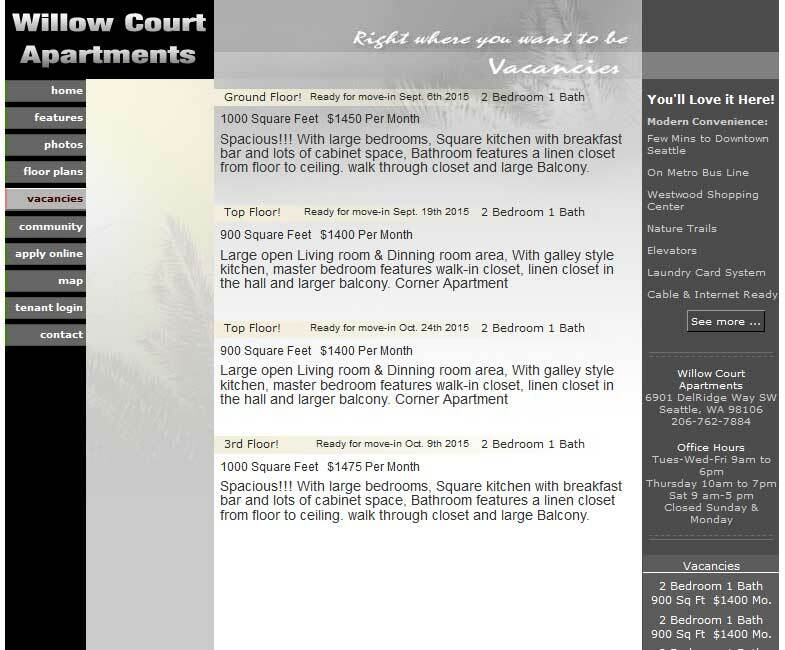 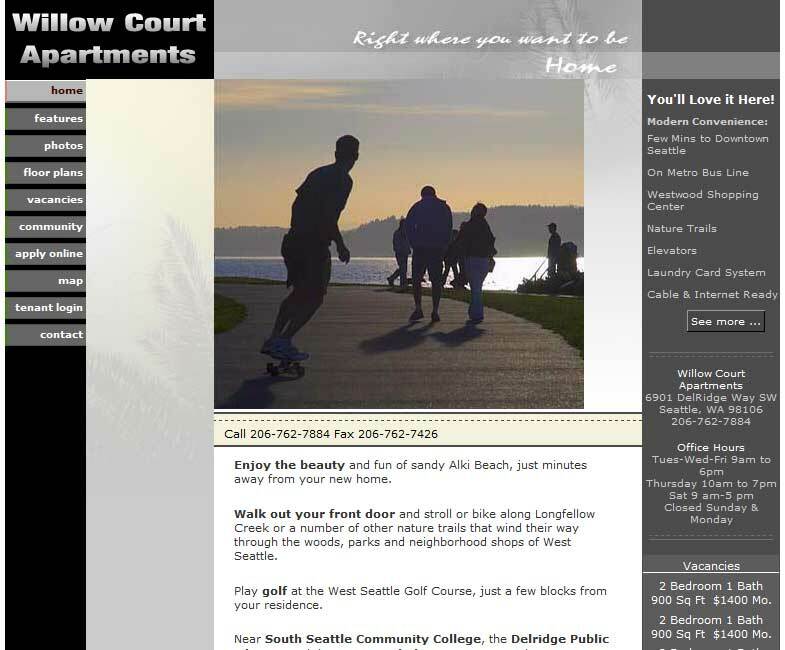 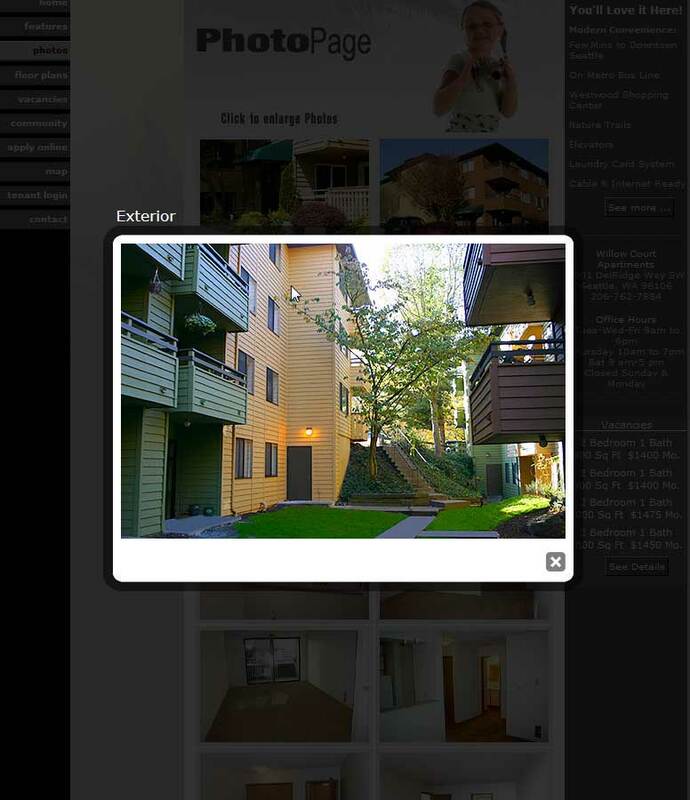 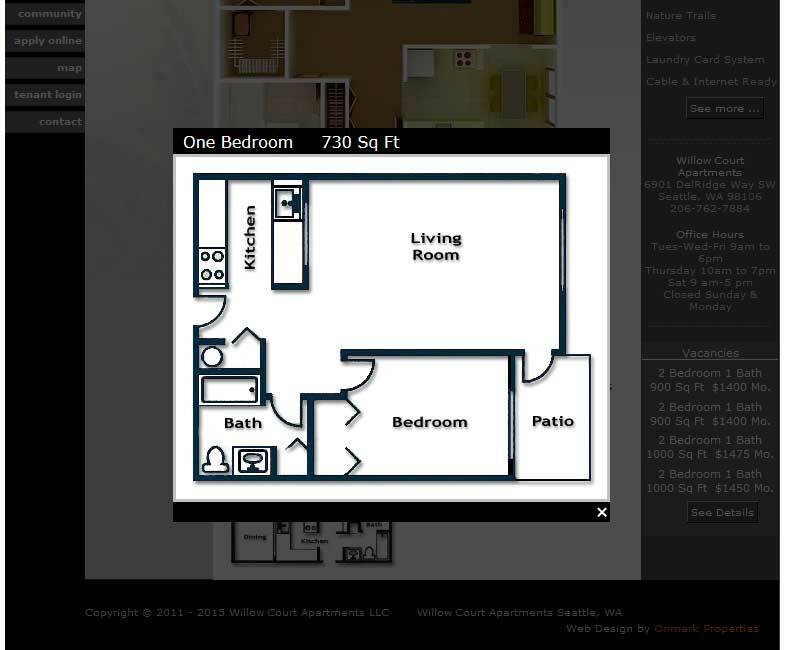 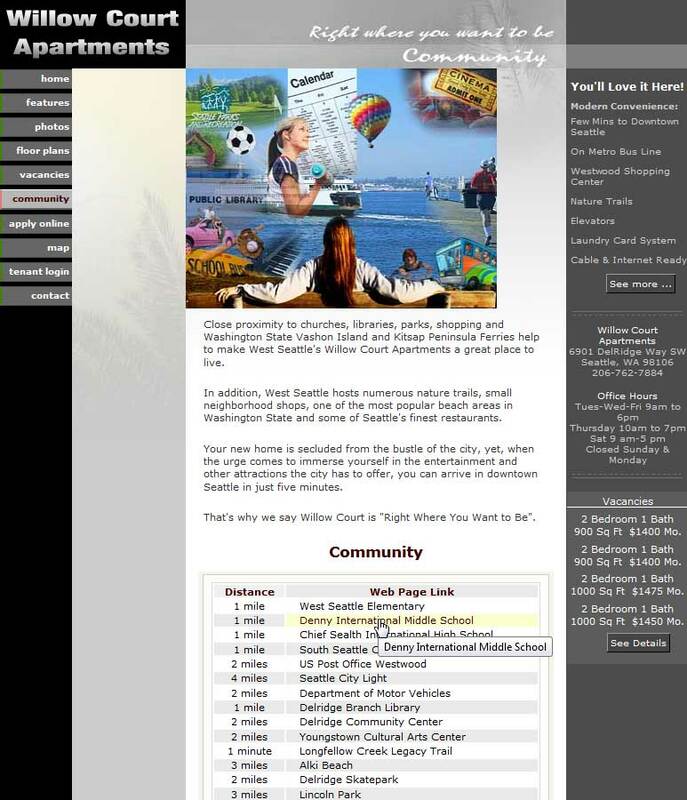 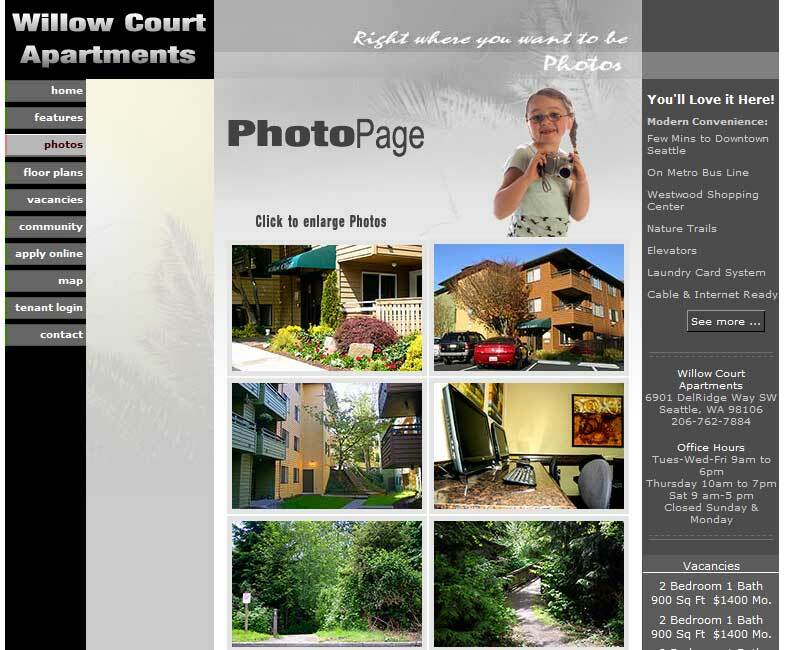 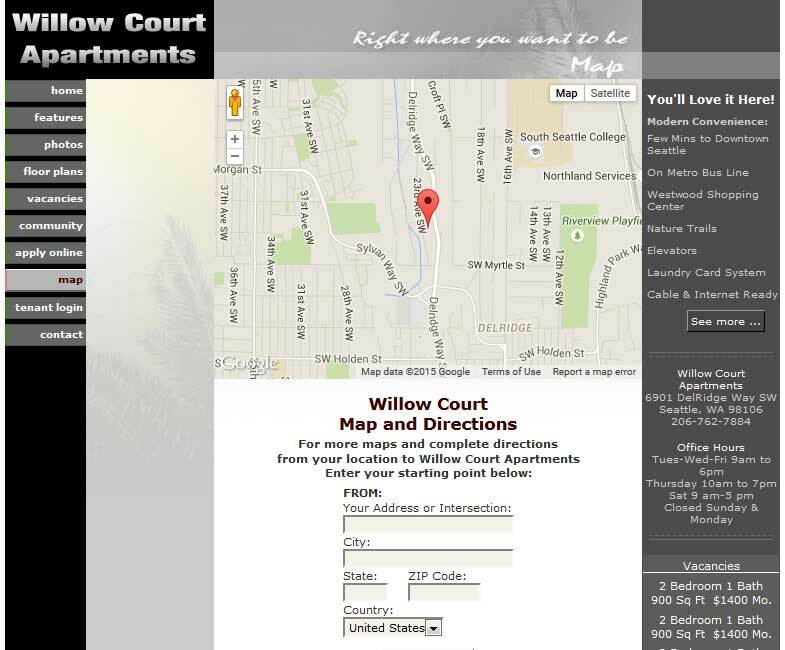 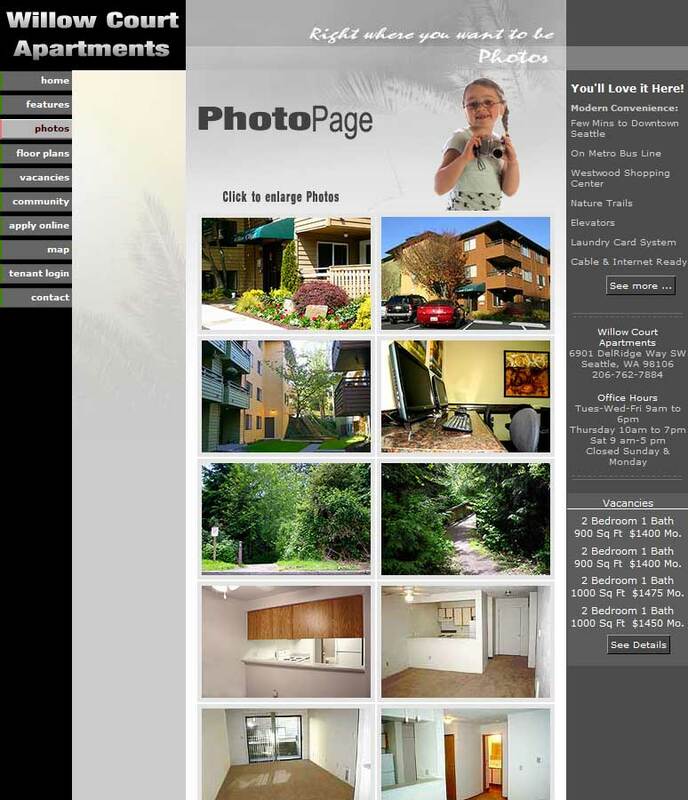 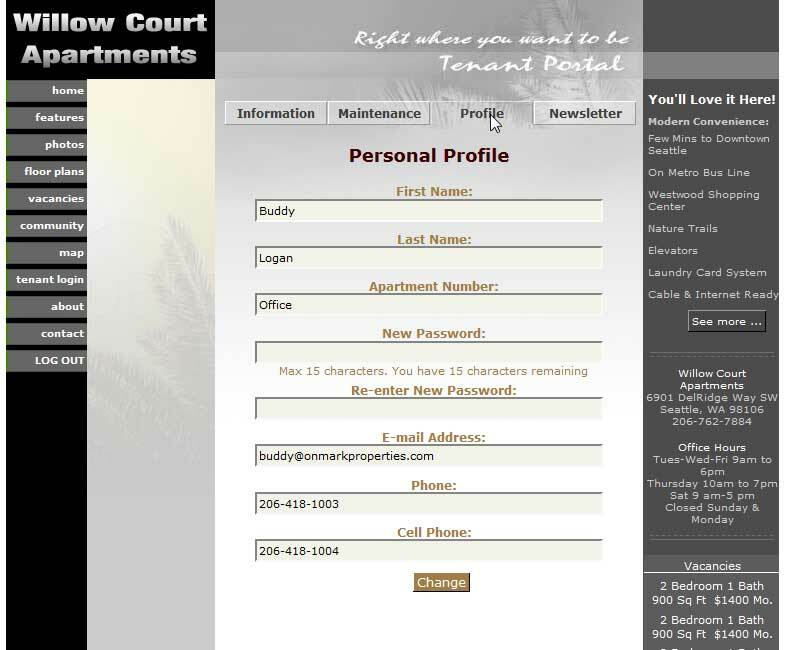 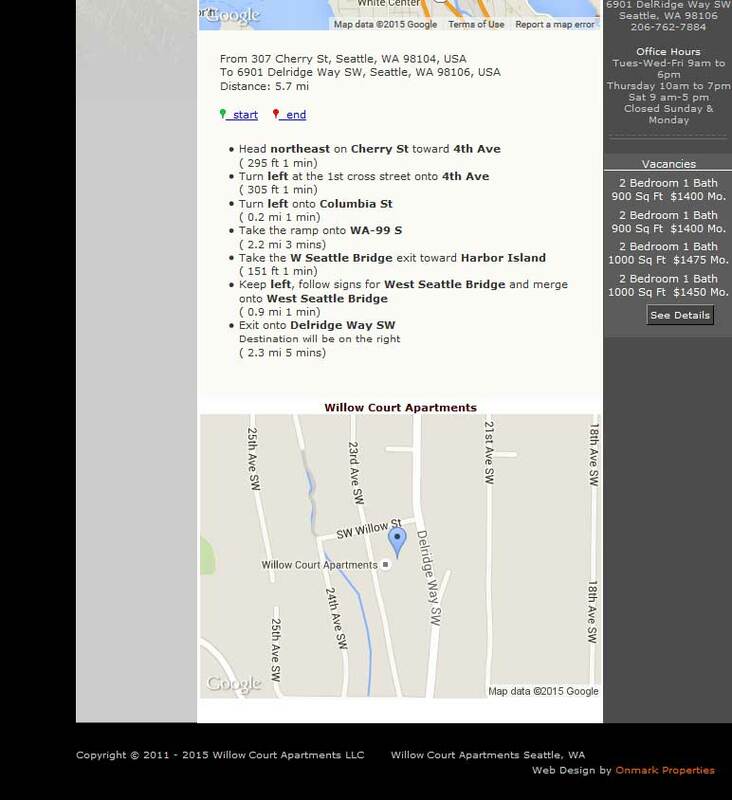 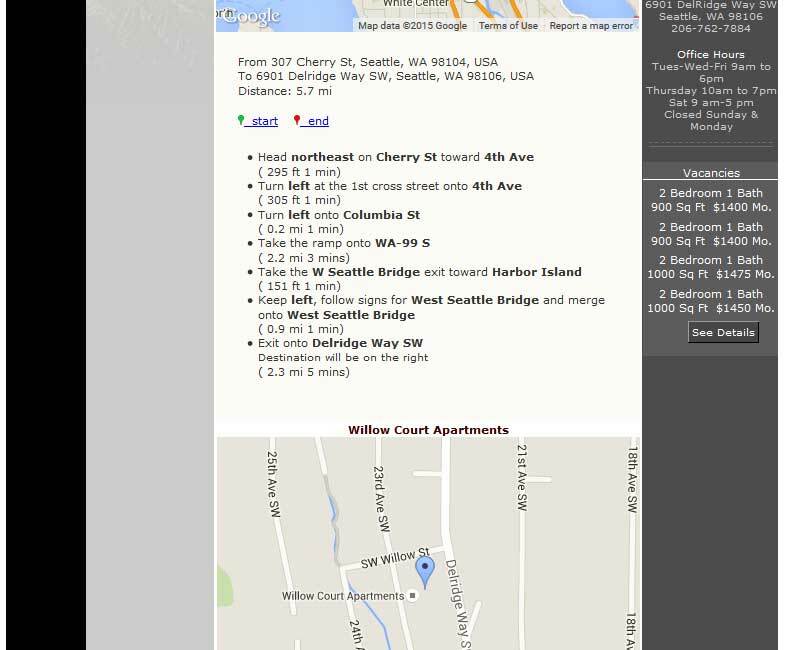 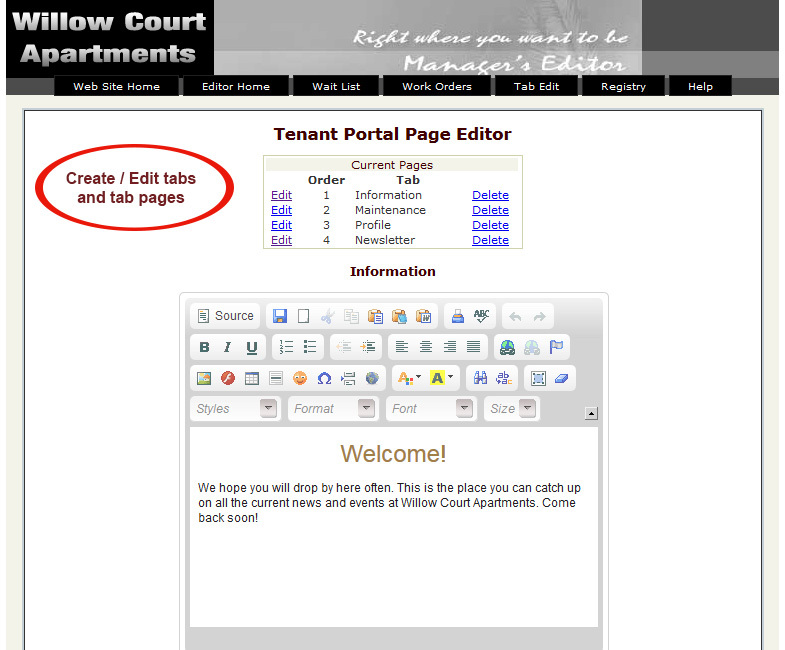 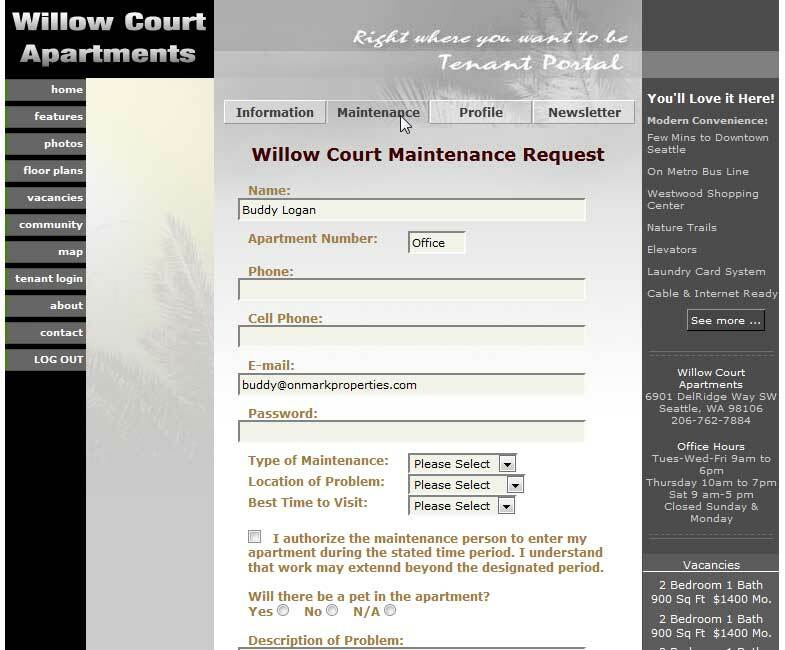 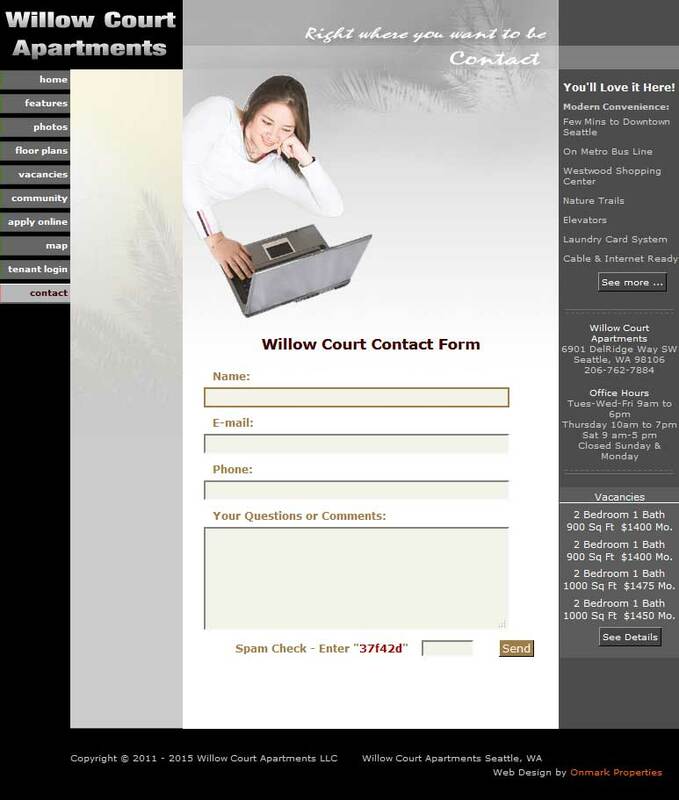 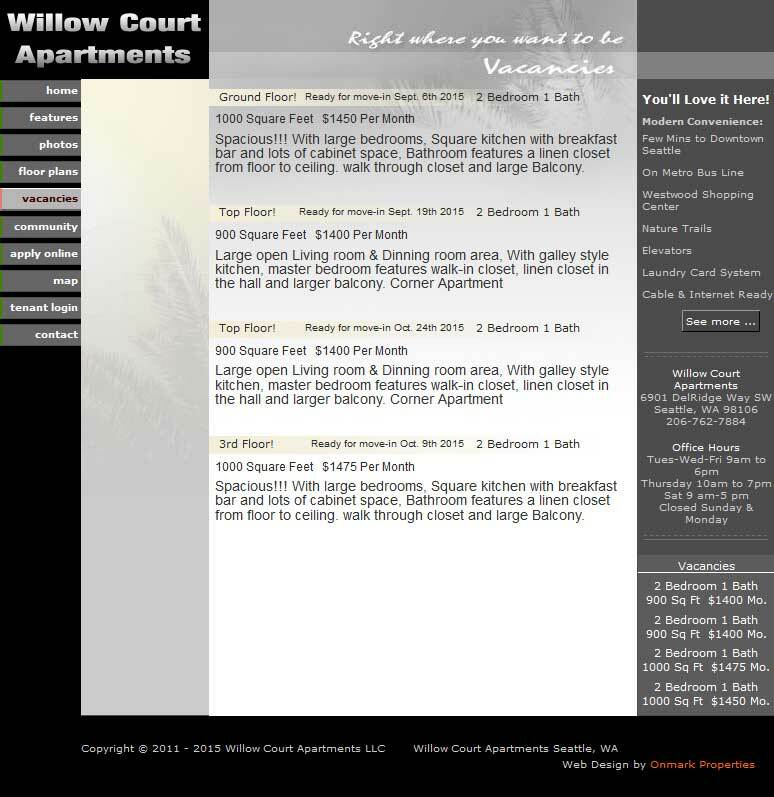 This site also includes a Tenant Portal that allows registered tenants to access a Willow Court bulletin board and other tenant information. 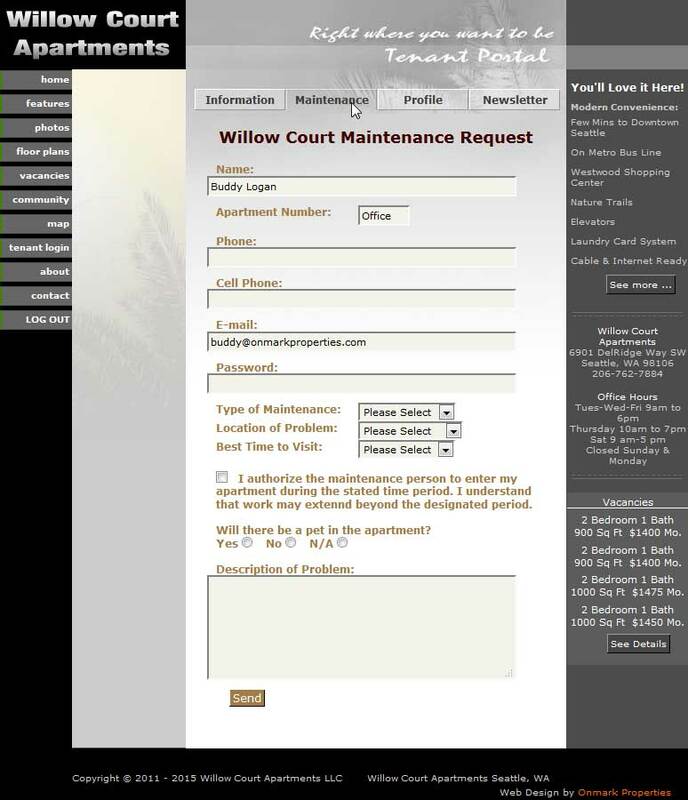 Here, they can also create a Maintenance Request. 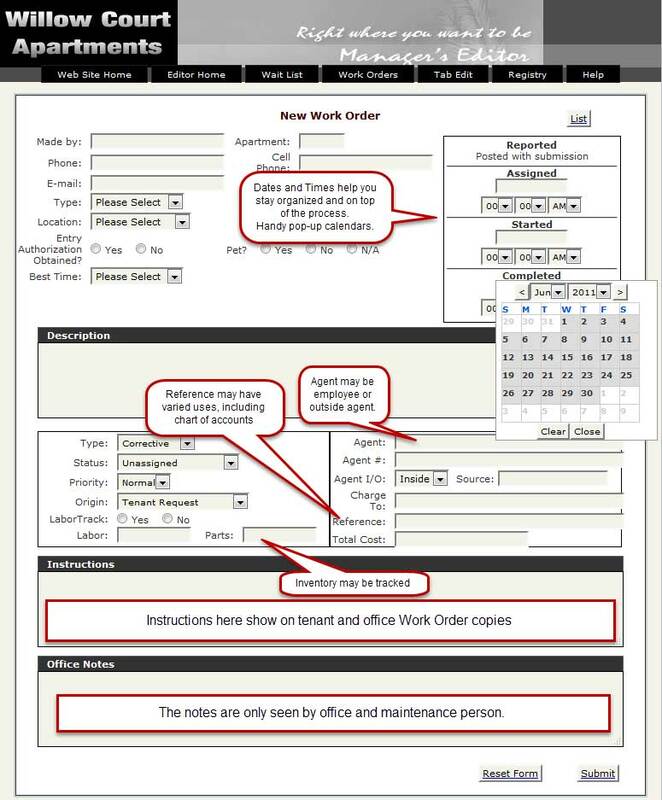 The Maintenance Request is sent to the office, which processes it into a Work order. 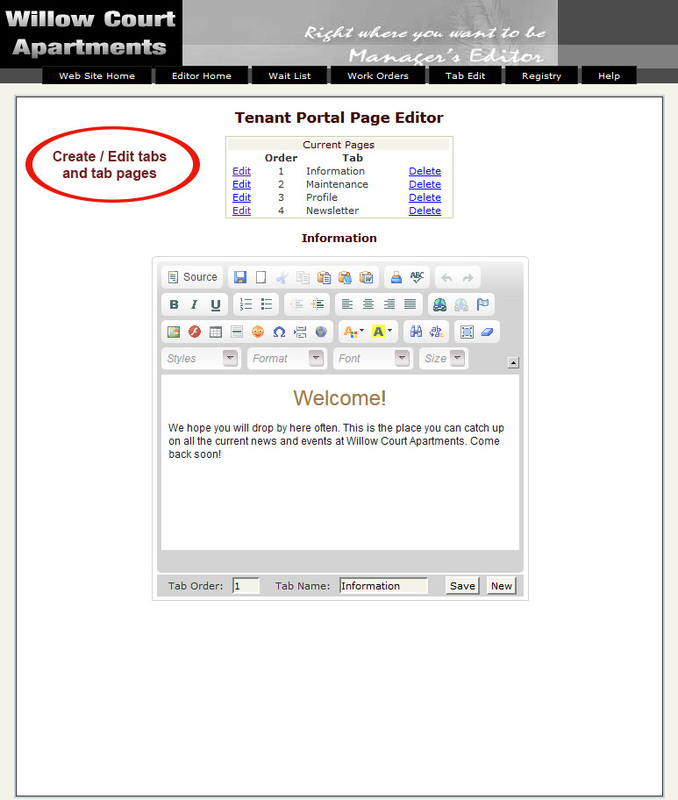 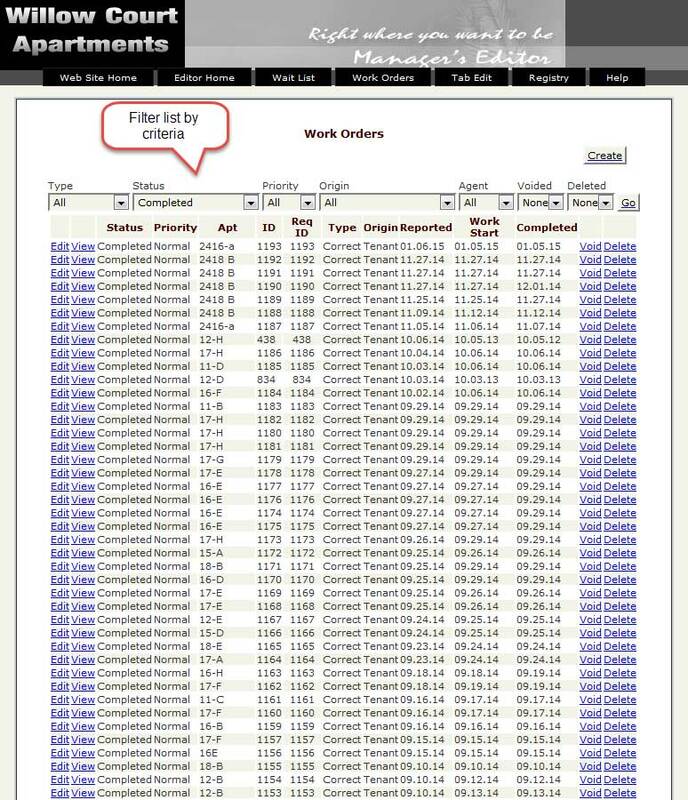 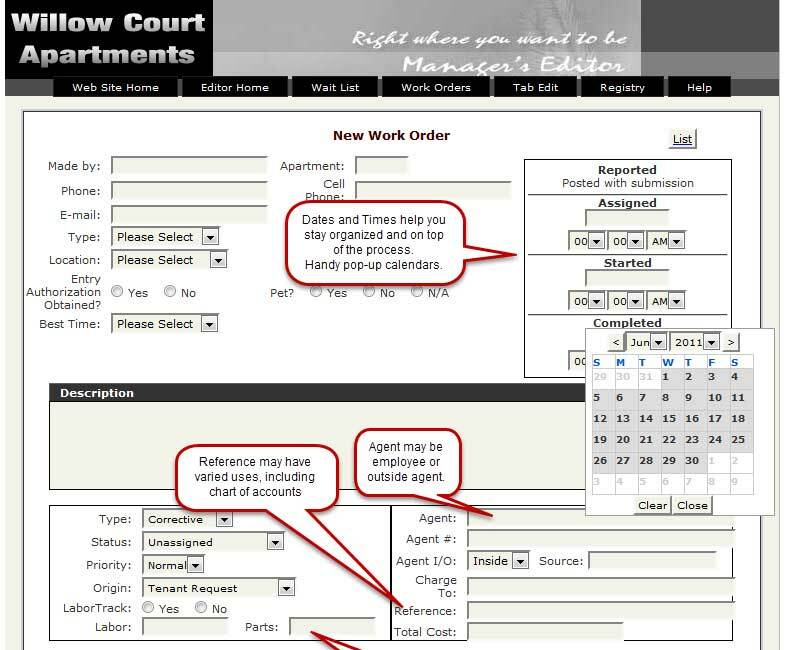 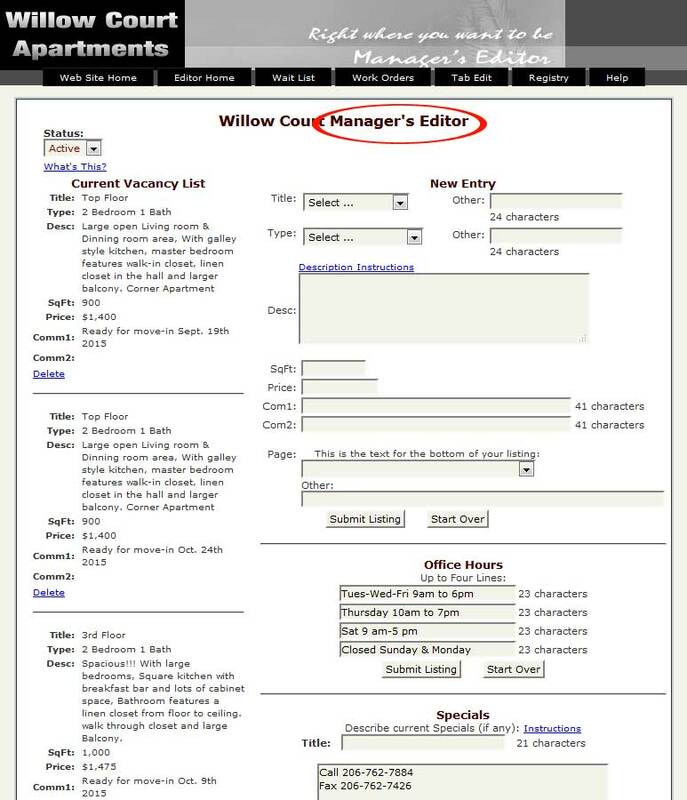 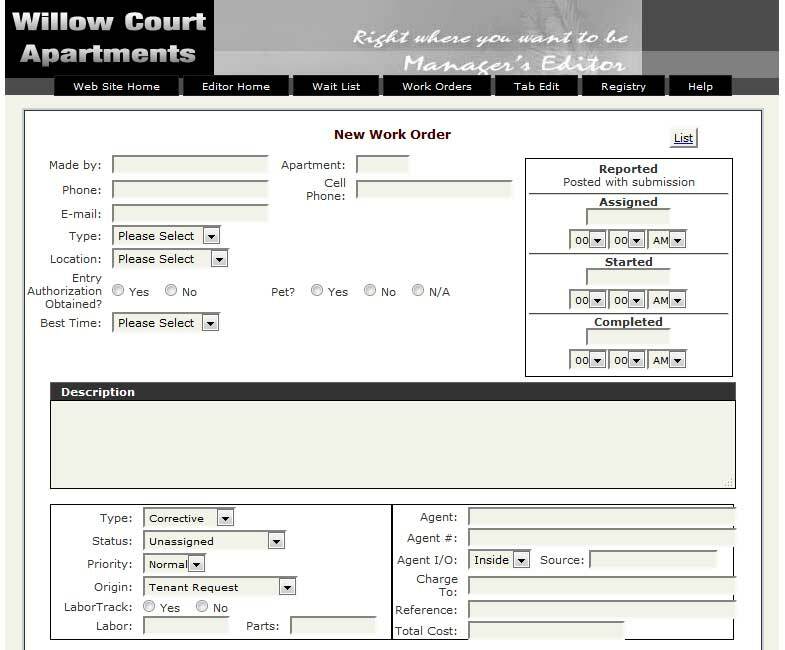 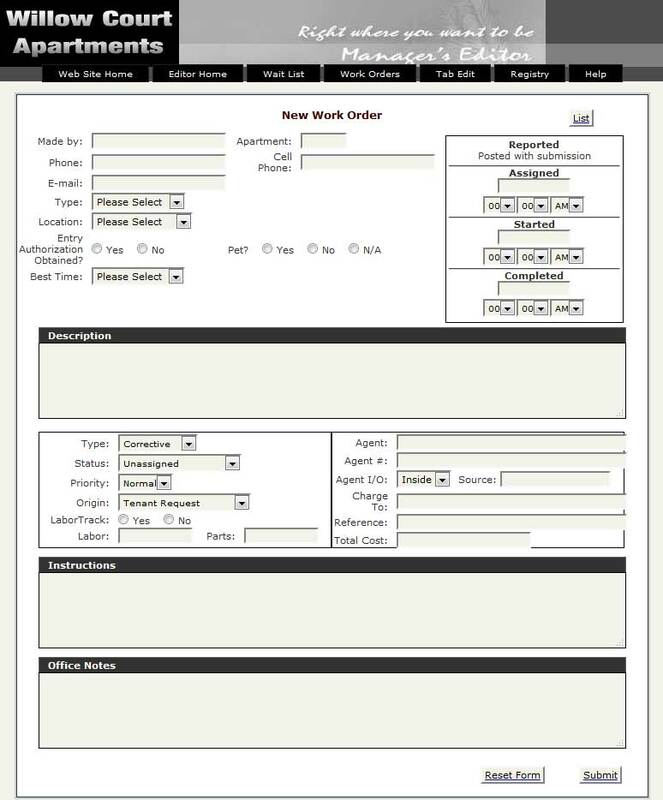 The "back end" allows office staff to assign the Work Order and follow it through to completion. 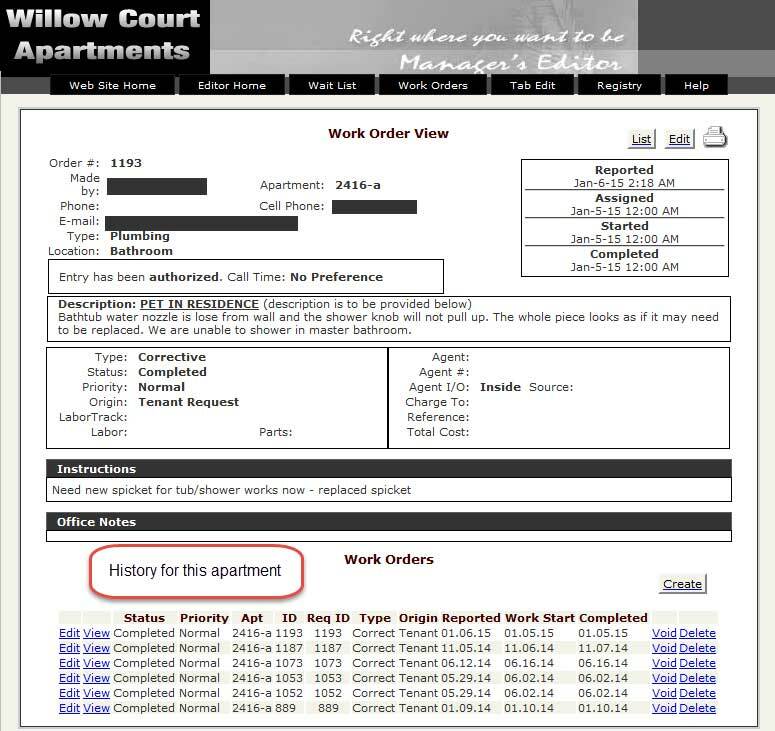 This also allows a complete historical record of maintenance on each apartment, as well as inventory tracking of parts and supplies.